teeth. Many cosmetic dental procedures, such as teeth whitening, offer a solution to discolored teeth that can restore a patient's smile, and certainly make it appear “pearly”! In comparison, porcelain veneers offers much more than whitening treatments and will also help with the appearance of chipped or cracked teeth. - The appeal of whitening treatments is easy to understand. Whiter teeth offer a huge boost in self-confidence, and the results are noticeable almost instantly. One of the advantages of whitening via veneers is the final product is predictable. Porcelain veneers create a uniform whiter white than bleaching products and closely mimic the luminosity of a natural tooth. Veneers can also change the look of small tooth imperfections, providing teeth with uniformity in terms of shape and size, as well as color. Veneers create an aesthetically beautiful smile all around! - Teeth whitening procedures take time. However, bleaching systems may require multiple visits as well as requiring “touch-up” treatments. When breaking down the variables of time and convenience, the significant factor is the return visits and maintenance. Both procedures can be performed over the series of a few visits, although bleaching can be done at home by wearing bleach trays for up to a couple of hours a day over the course of a few weeks. The process must then be repeated at regular intervals through the years. In contrast – aside from the patient's regular dental hygiene routine and check-ups – porcelain veneers can brighten a smilefor up to 15 years. - Porcelain veneers offer a long-term solution to discolored, chipped or crooked teeth. In-office bleaching can cost as little as a few hundred (and even less with home-based whitening solutions), which is less than the cost of porcelain veneers. But, long-term solutions mean fewer repeat visits and no additional treatments for well over a decade. Also, bleaching is removing a stain, whereas porcelain veneers can actually strengthen the existing tooth by covering it with an extremely strong and durable shell that acts as a barrier between disease-causing bacteria and your tooth's natural enamel. Patients’ investment in porcelain veneers also makes an investment into better oral health, as well as a beautiful smile! Contact Dr. Shahdad atDFW Absolute Dental for more information on porcelain veneers and if they are the right solution for you! Family dentists see all ages – from toddlers and children, to teenagers and adults. Their focus is long-term patient care. And, seeing a family dentist for regular check-ups offers more security and convenience; the entire family's dental health is being cared for by someone they can trust. Getting to know your family dentist and establishing a relationship built on trust, is a significant benefit to all parties. Patients are more likely to confide in someone they have known for a long time, who has guided them through their dental care. Such a relationship also permits the dentist to observe their patients development, get to know problem areas, and address issues appropriately. A family dentist is concerned with long-term preventative healthcare, and this starts with the doctor's understanding of the family history. 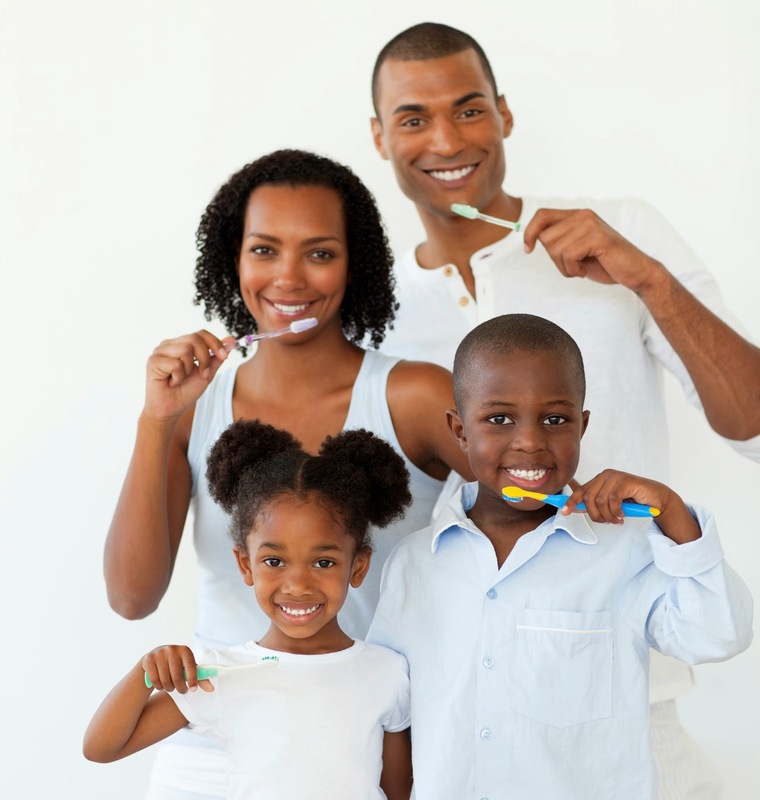 A family dentist can help parents educate their children on good brushing habits. Most family dentists today are skilled in communicating with children and making their visits to the dentist relaxed and positive experiences. The family dentist is able to monitor the growth of teeth, and can catch problems at an early stage. Early intervention impacts restorative care for everyone, particularly as early detection minimizes any subsequent need for extensive treatment. A family dentist is able to prepare their patients for long-term dental health with best practices and procedures. Many adult phobias of dental care are a result of a traumatic or anxiety-ridden childhood experience. Family dentists aim to relieve patients of their fears by offering a wide range of preventative treatments, such as fluoride and sealant applications. As the family becomes familiar with the practice, so the practice becomes familiar with the family. Many practices, such as DFW Absolute Dental, enjoy customizing their patients' experiences so as to provide the best in dental care. Patients get what they need from people they trust, and at a time that is convenient to them. Treating the whole family helps parents manage routine visits and accommodate for busy schedules. Greater convenience equals less stress! To find out more about the benefits of a family dentist, contact DFW Absolute Dental for a consultation today. We look forward to serving you! Wearing dentures can be challenging; ill-fitting dentures cause discomfort and inhibit normal routines (to include eating and speaking! ), and they can be noticeably unnatural in appearance. The implants are surgically placed into the jawbone, serving as stable posts for new dentures. 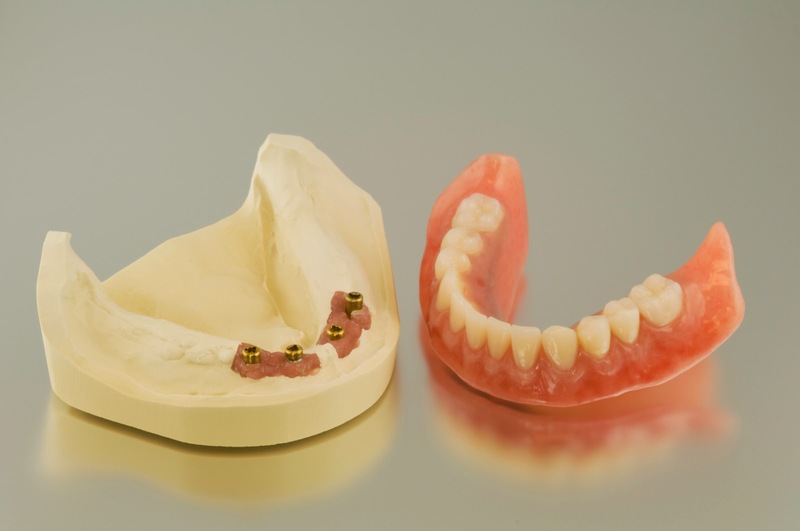 These dentures provide patients with a new lease of life – but, how? Contact Dr. Shahdad for more information. 1 Strength and Stability: Dental implants consist of titanium screws. These posts are surgically placed into the jaw bone, in the location of the tooth's natural root. The titanium alloy provides a stable base for replacement dentures; over time, through the process of osseointegration, the titanium fuses with the bone, creating a strong anchor for dentures. And, individual, separate posts don't damage and weaken neighboring bone, or soft tissue. 2 Appearance: A denture supported by implants yields a more natural appearance – the implants make it possible for the replacement crown to fit properly into the mouth in line with the face's natural bone structure. The crown itself can appear more natural, sitting flush against the gum without noticeable, uncomfortable gaps. 3 Durability: The materials used in implant-supported dentures are resilient, and can last for a very long time. This makes implant-supported dentures less prone to breakage, wear and tear, or general discomfort than traditional removable dentures. Both the titanium metal alloy used in the implants, and the composite material used for the dentures, can endure significant biting pressure, as well as fluctuations in temperature, and restore a patient's functionality. 4 Oral Health: All teeth restorations are aimed at fully restoring a patient's oral health – with implant-supported dentures, some of the big challenges are tackled through the procedure itself. The posts fuse to the bone, so that pockets of disease-causing bacteria cannot form in the lining of the gum and tooth. Also, patients experience less pain during recovery, and their normal routine resumes within a very short period of time. 5 Quality of Life: Psychologically, implant-supported dentures often provide the patient with a boost in self-confidence. According to a study published in the U.S. National Library of Medicine, patients who received implant-supported dentures indicated massive improvements in the areas of functionality; physical pain; psychological discomfort; physical disability; social disability; psychological disability; and, handicap. We're excited to announce the official launch of our DFW Absolute Dental blog. If you would like to stay up to date on the latest from DFW Absolute Dental, simply click the RSS “Subscribe to feed” link located on our website and subscribe. Our subscribers will be updated when we make a new blog post.